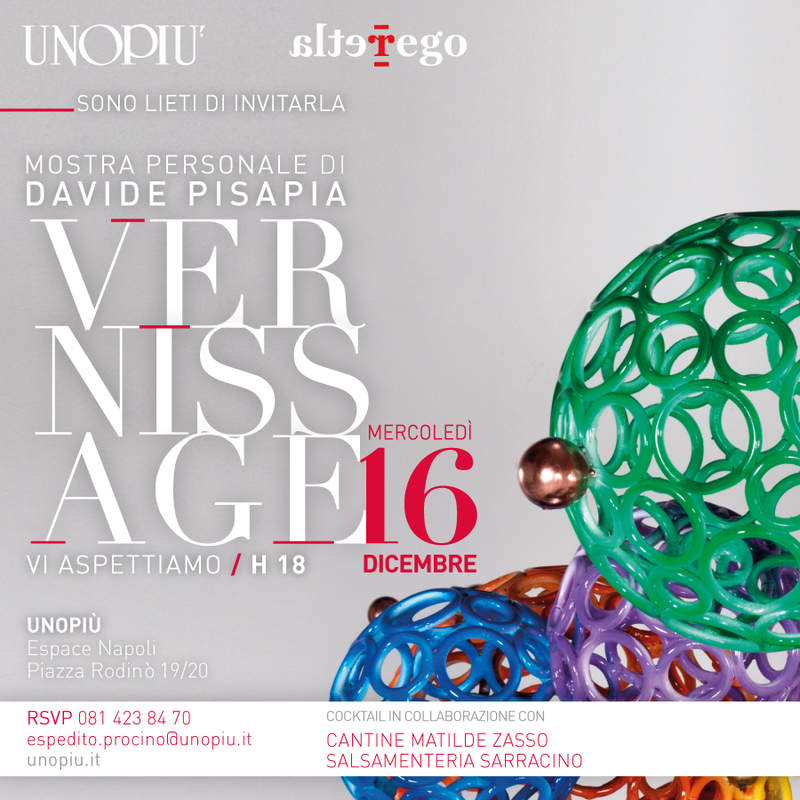 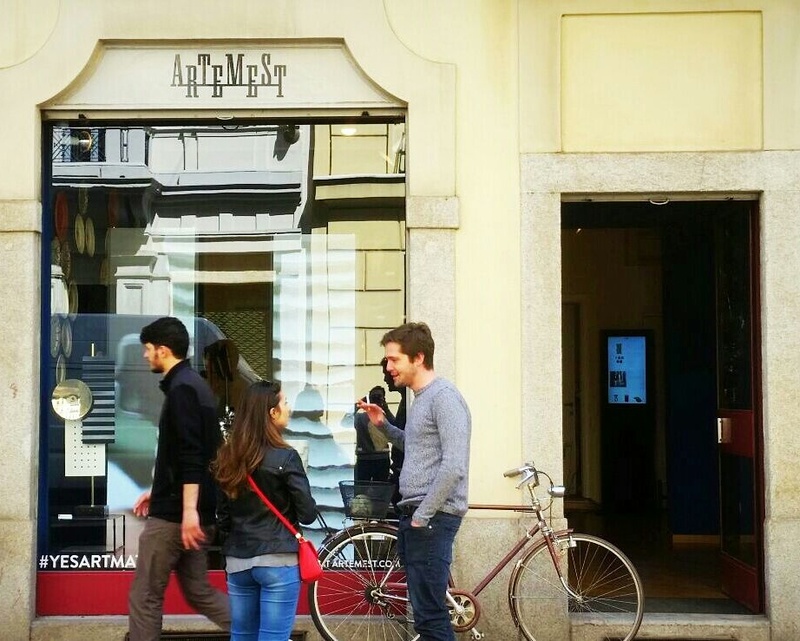 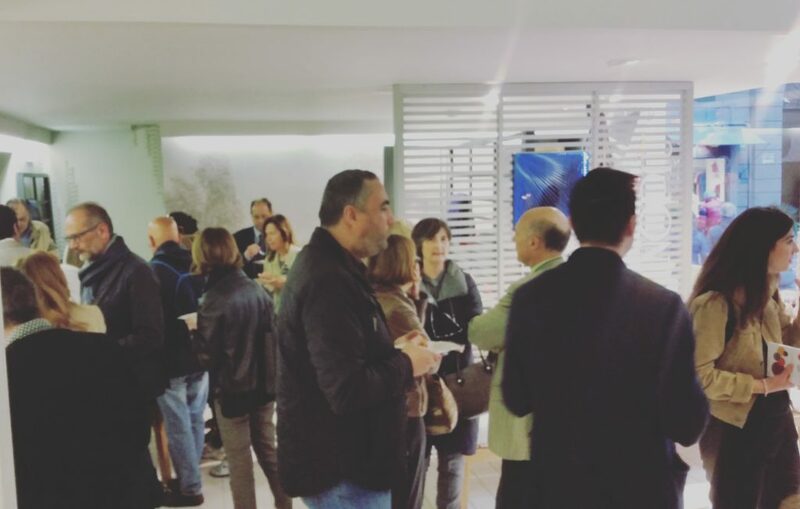 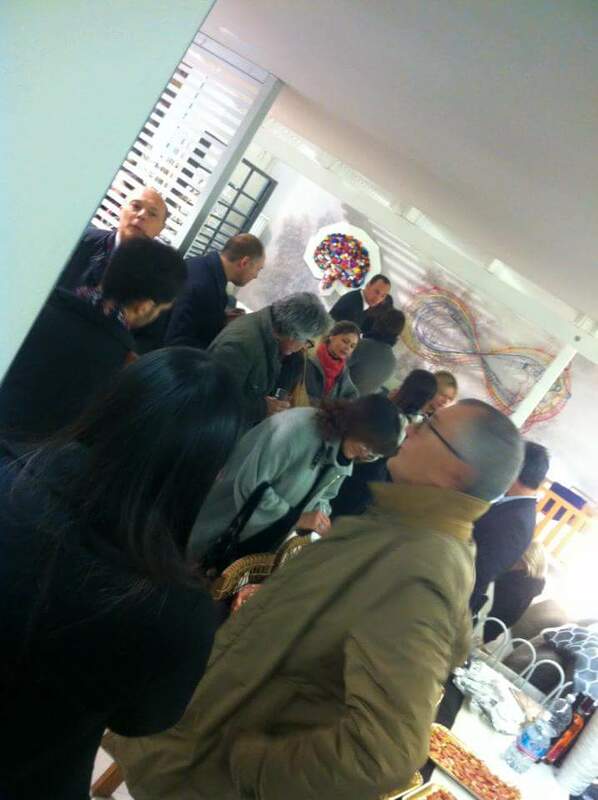 Exhibitions at Unopiù Shop (Naples) for the event “Wine & The City” with the sponsorship of the Naples municipality. 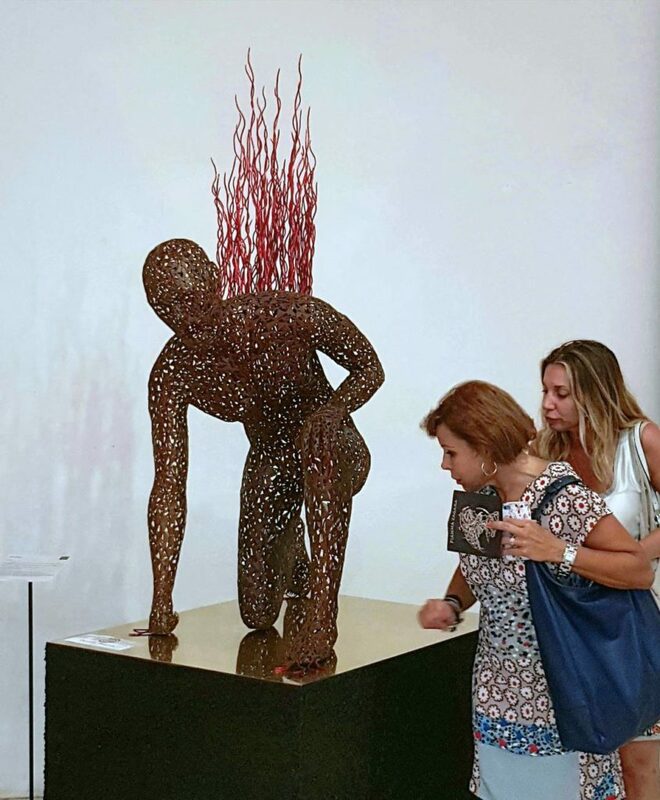 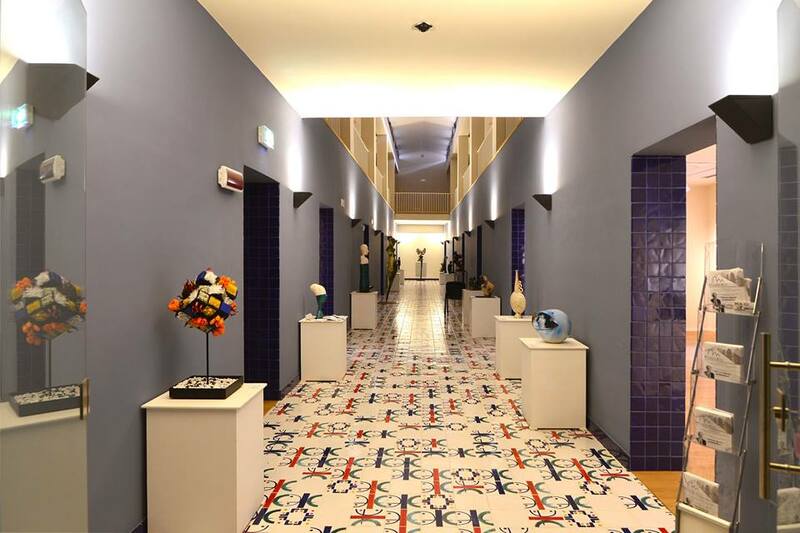 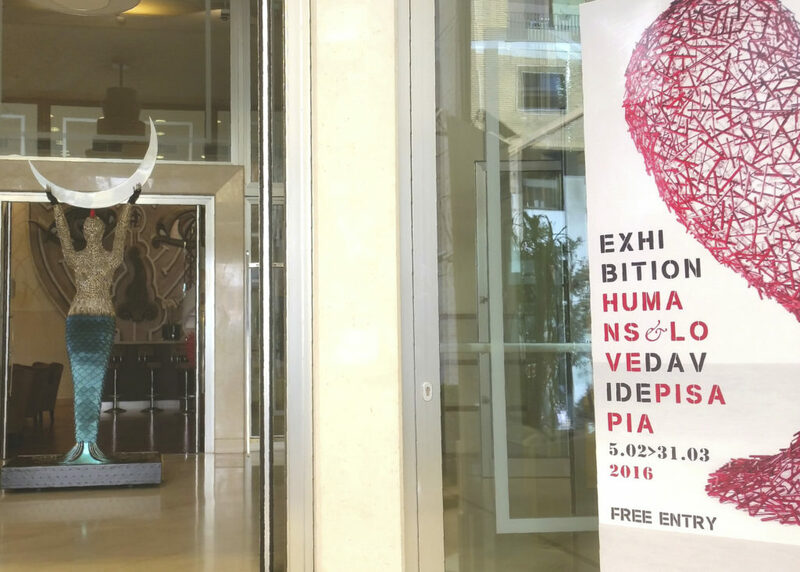 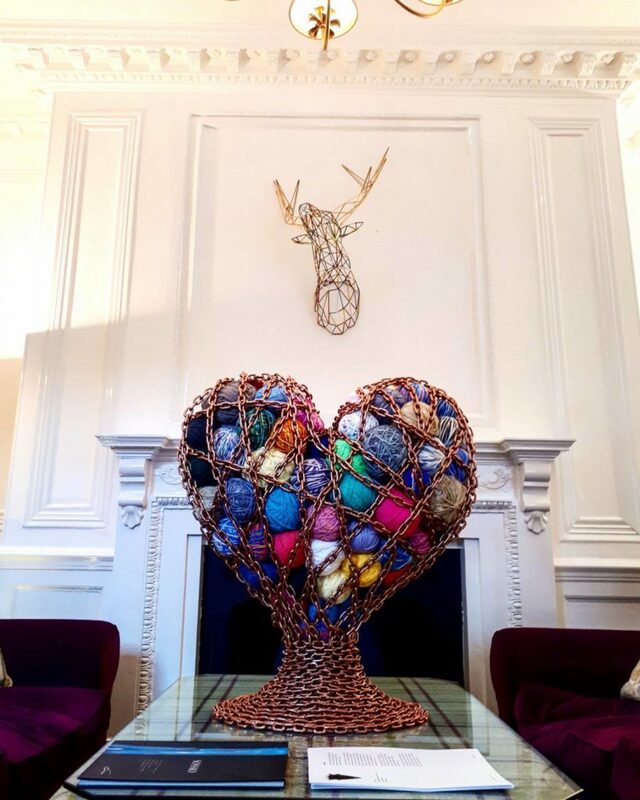 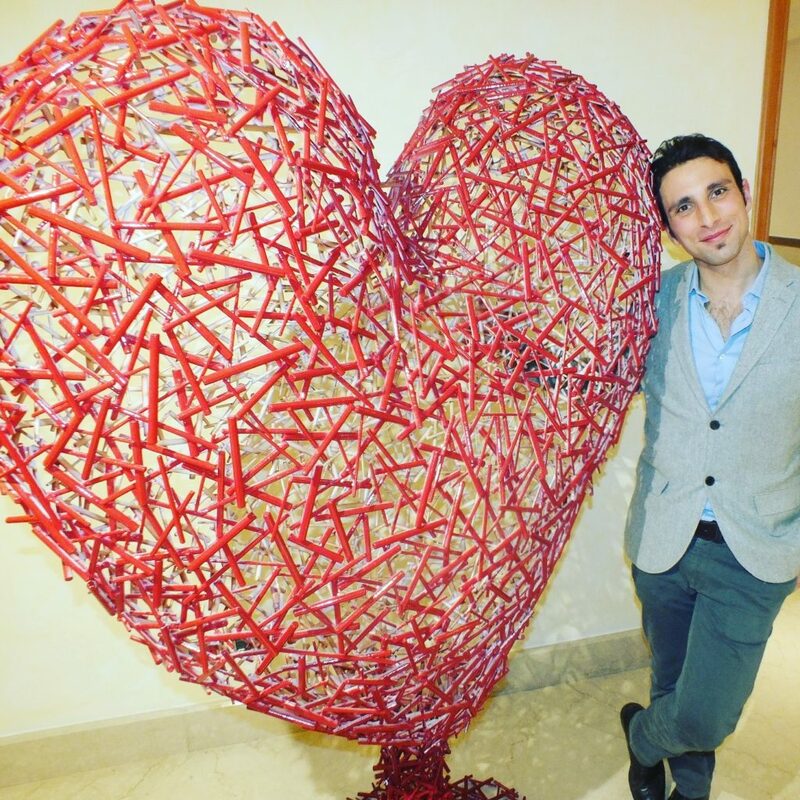 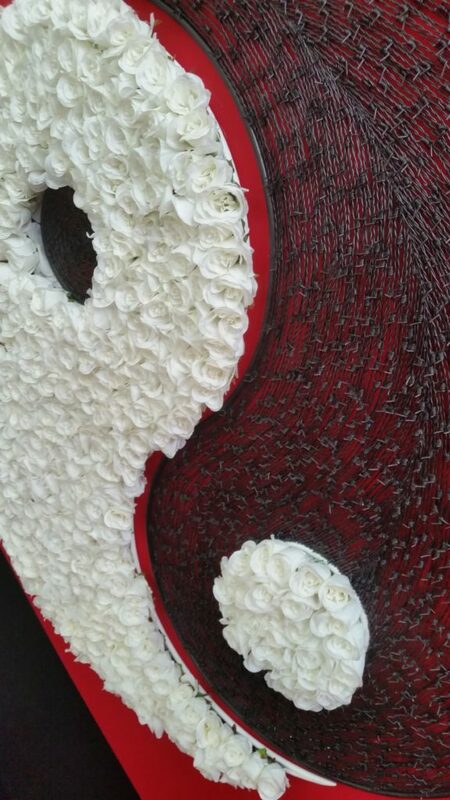 Solo exhibitions called “Humans&Love” at Renaissance Naples Hotel Mediterraneo, Naples. 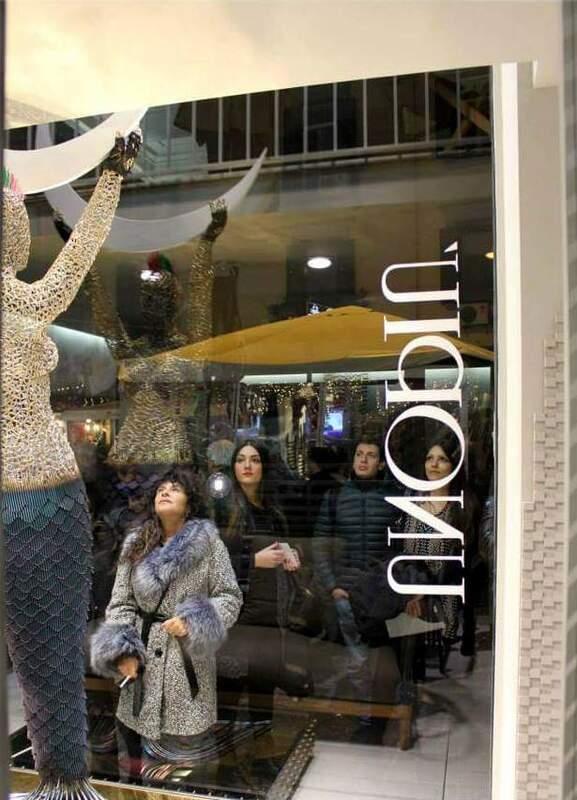 Solo Exhibition at the shop Unopiù in Naples. 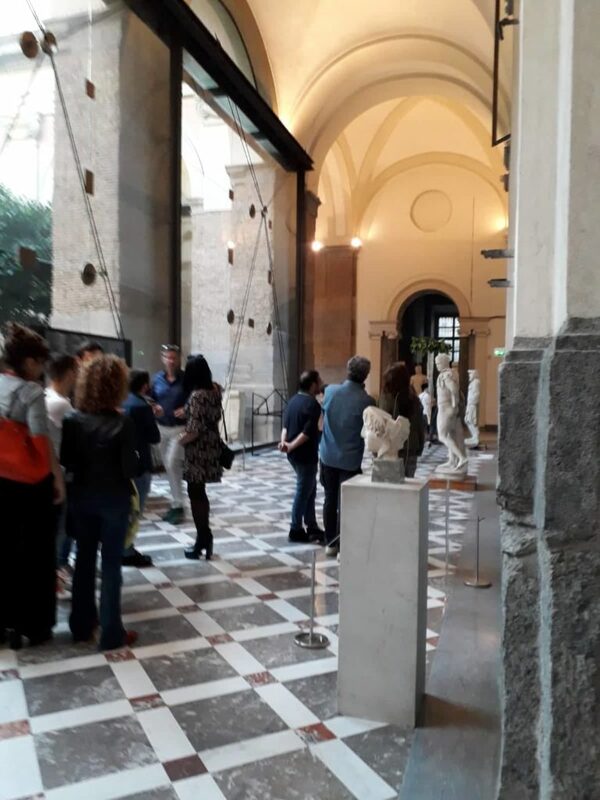 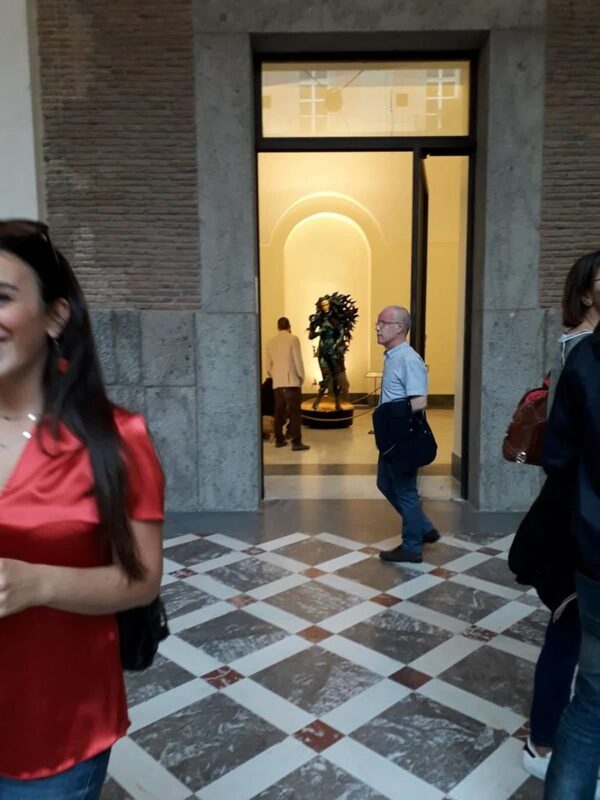 Review of contemporary art “RevoluShow” organized by the Paratissima and the Academy of Fine Arts in the Archaeological Museum of Naples. 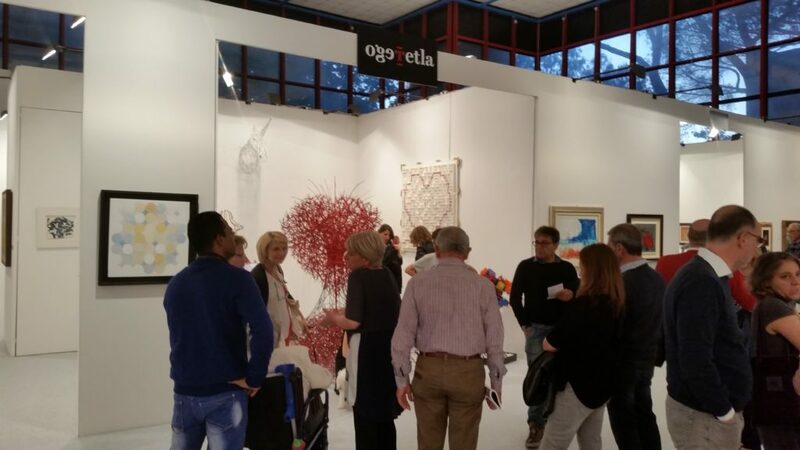 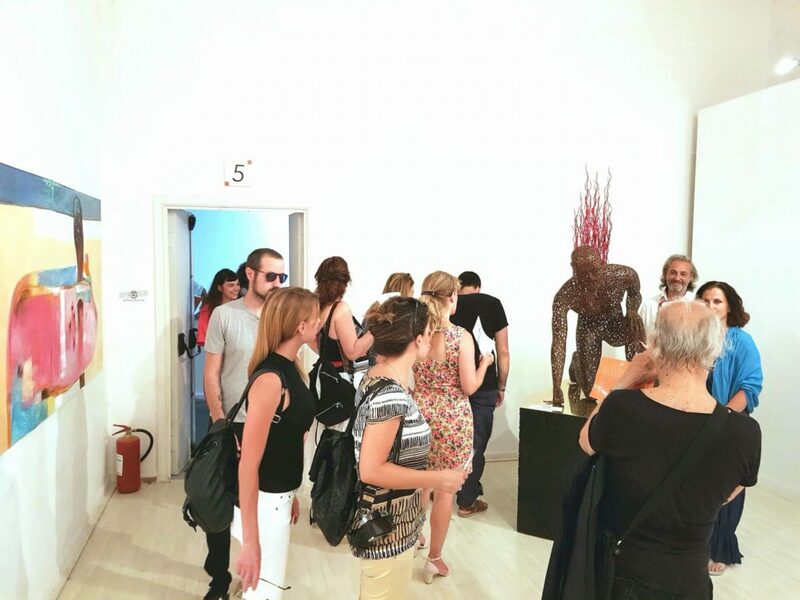 The event organized by the art publishing house Gutenberg at Centro Luigi di Sarro in Rome. 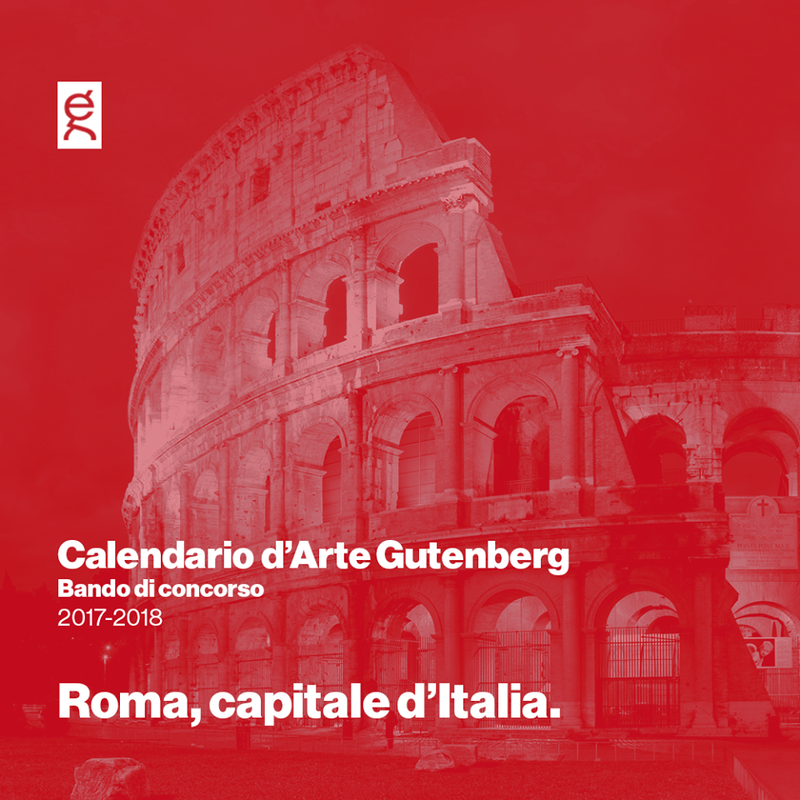 The commission is held to: Massimo Bignardi (professor of History of Contemporary Art, University of Siena), Danilo Maestosi (journalist and writer), Franco Marrocco (artist and director of the Academy of Fine Arts of Brera-Milan) and Giuseppe Rescigno (artist) has selected works that have filled the Gutenberg Calendar 2018. 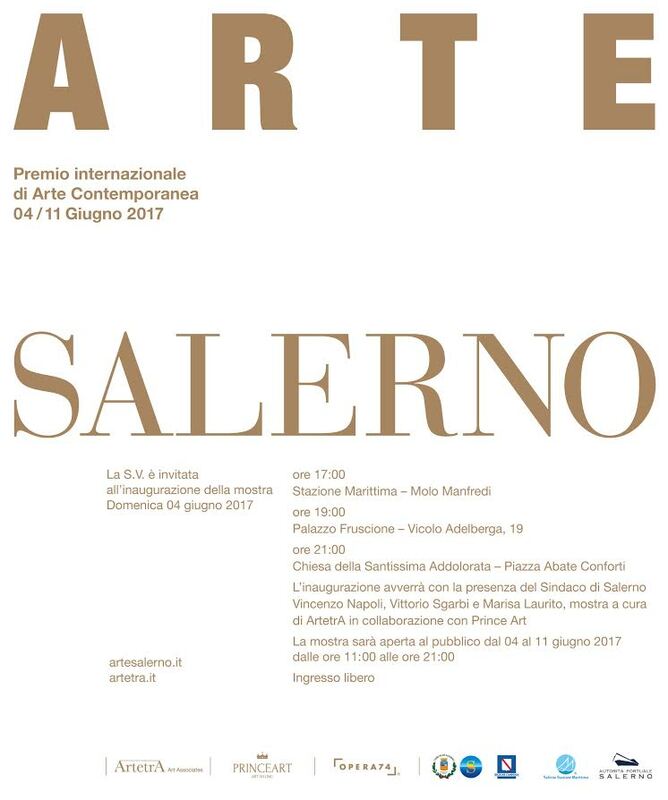 Group Exhibition at the Monumental complex of San Giovanni Battista in Cava de’ Tirreni (Salerno), organized by the art critic Vittorio Sgarbi. 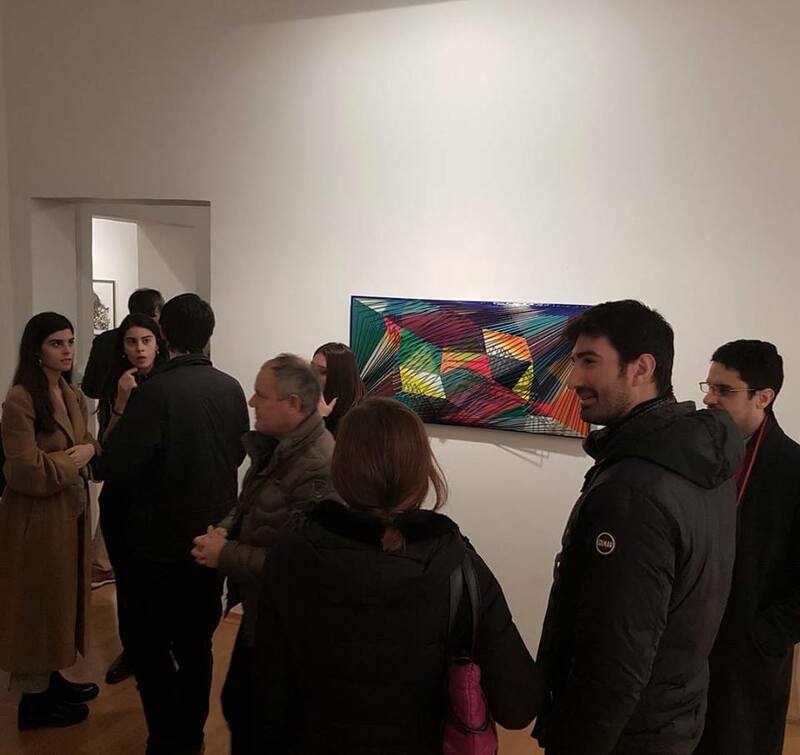 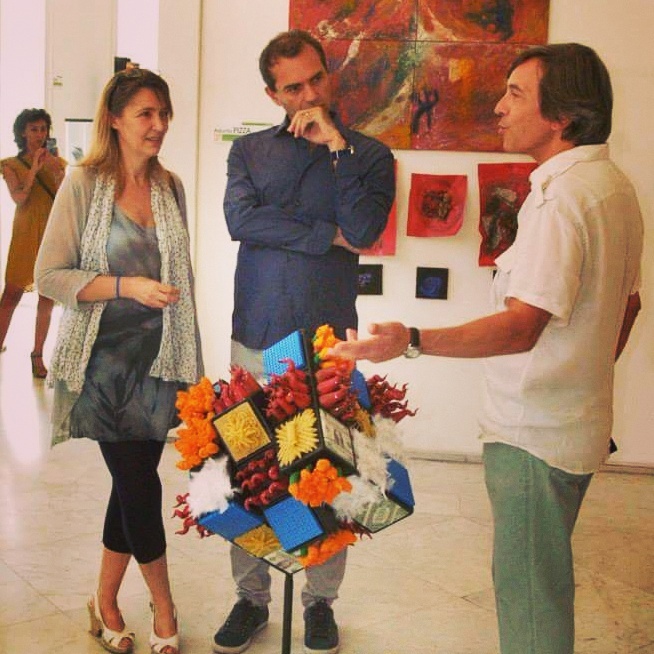 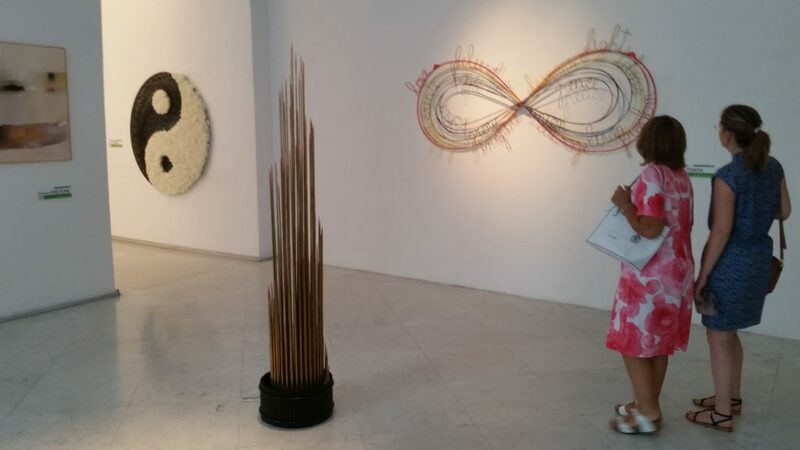 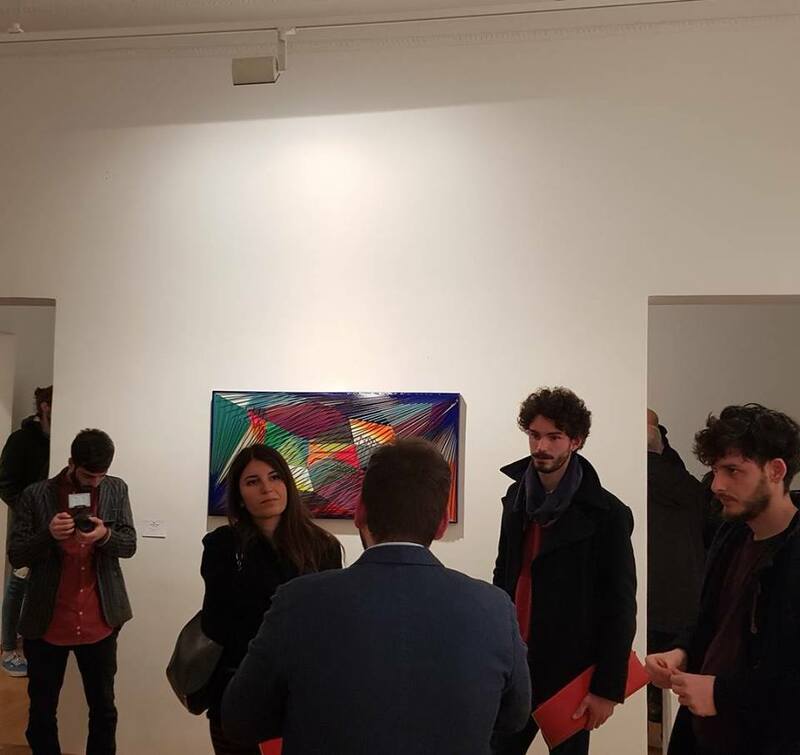 Group Exhibition “Viva Arte Venezia” of Daniele Radini Tedeschi from at Albrizzi Palace, headquarter of the Guatemala National Pavilion of the 57th International Exhibition of Art of the Biennial of Venice. 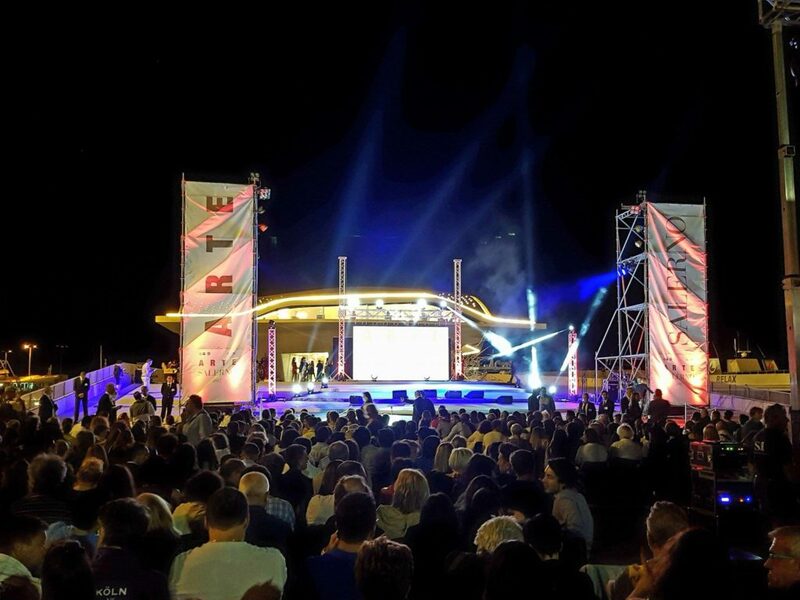 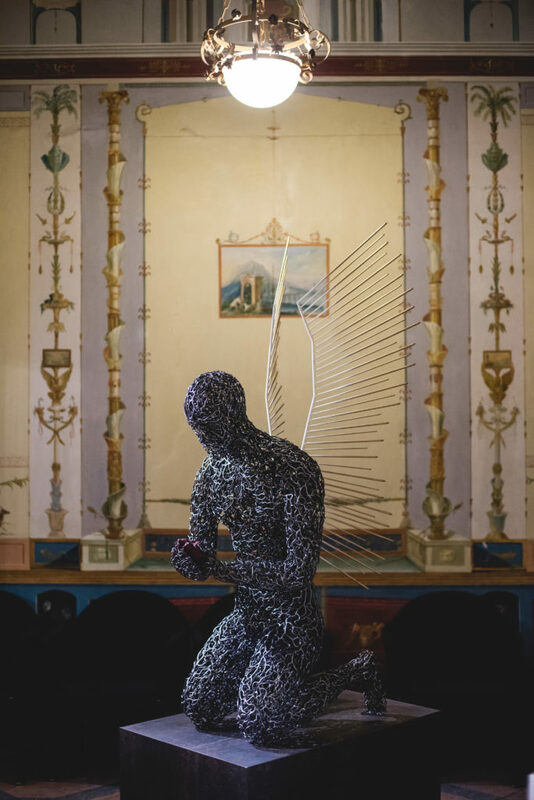 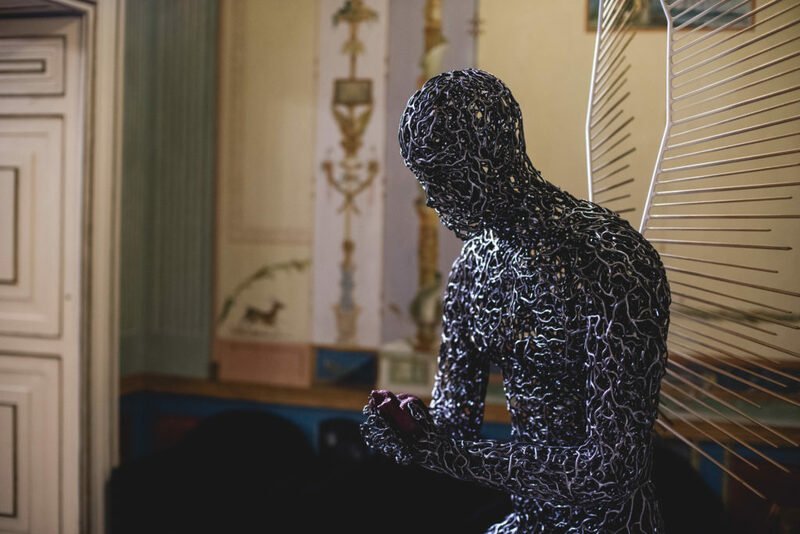 Festival at Castel dell’Ovo of Naples with the Art Direction by Gianni Nappa. 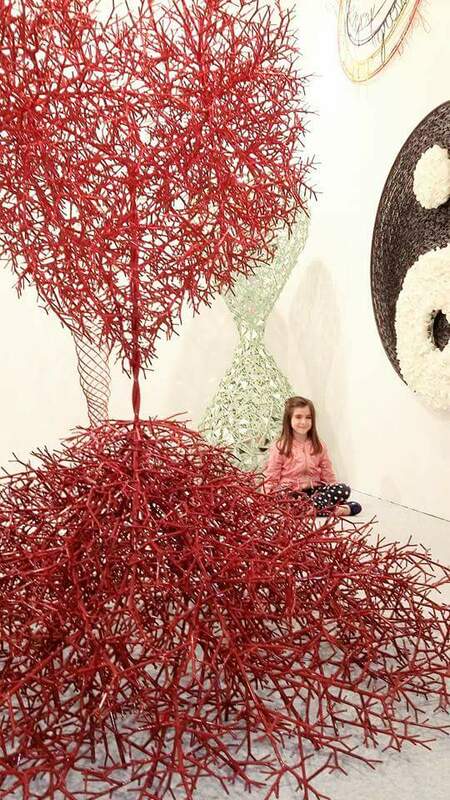 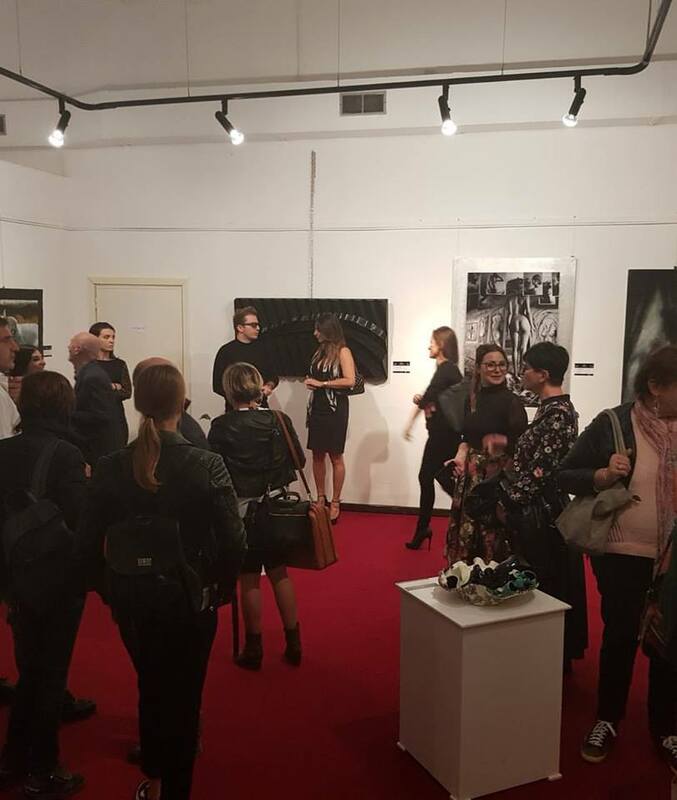 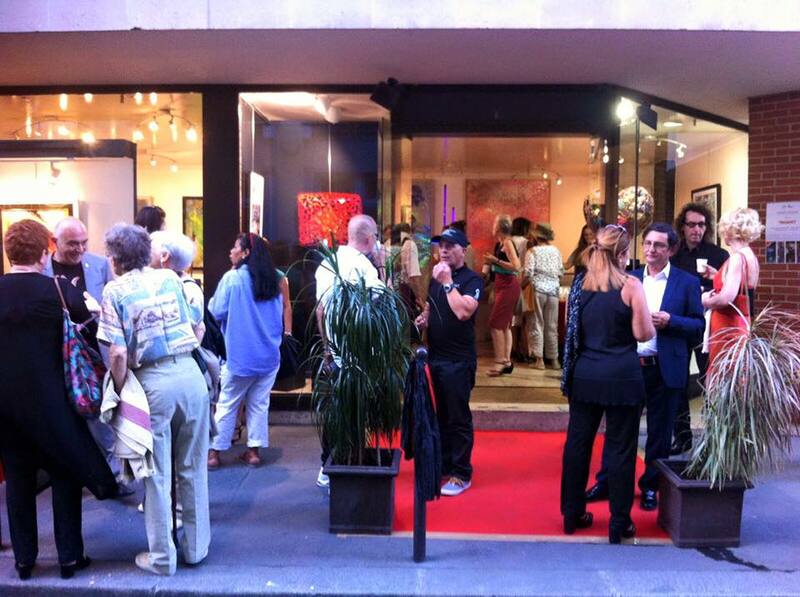 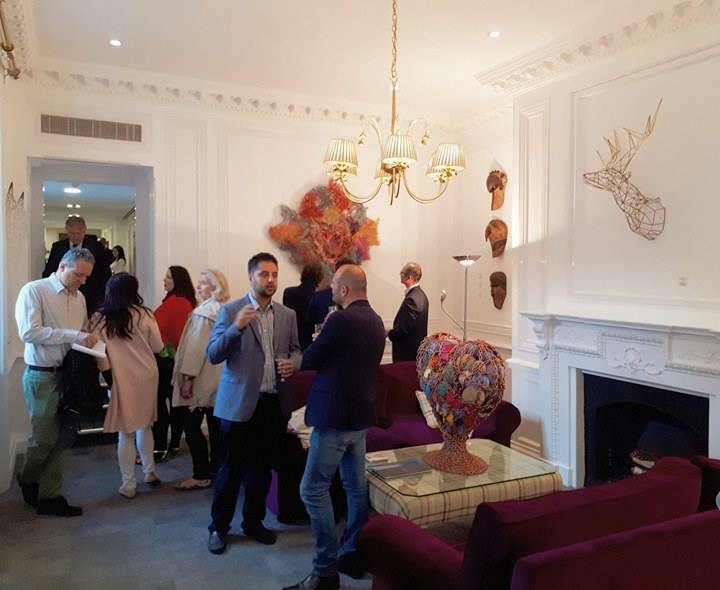 The event organized by the Rose & King Galleries in London, with the partnership of Artrooms.it and Aria Art. 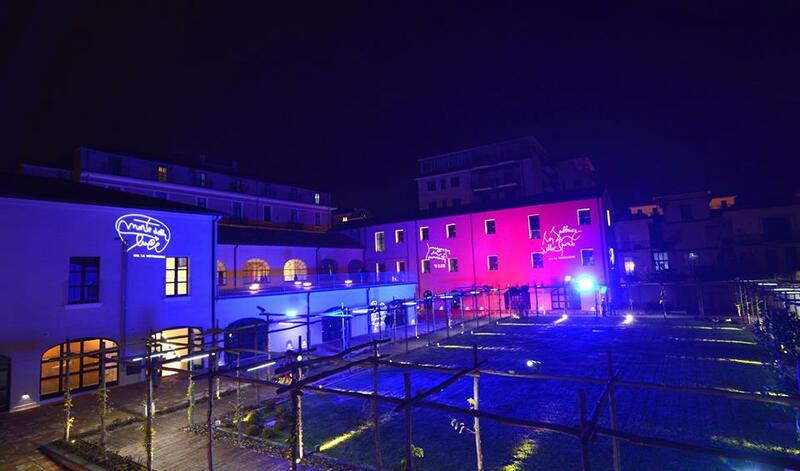 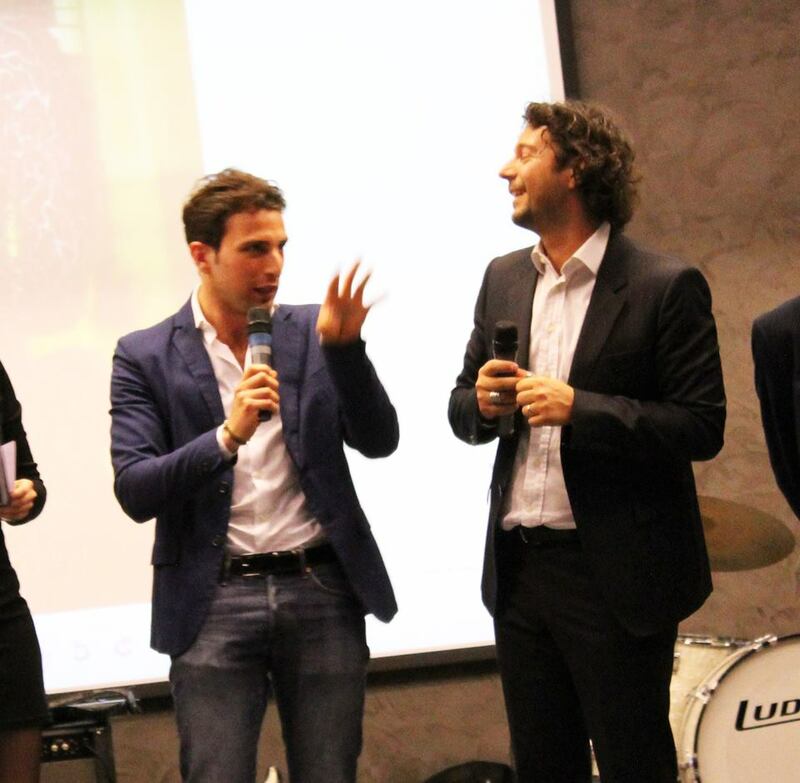 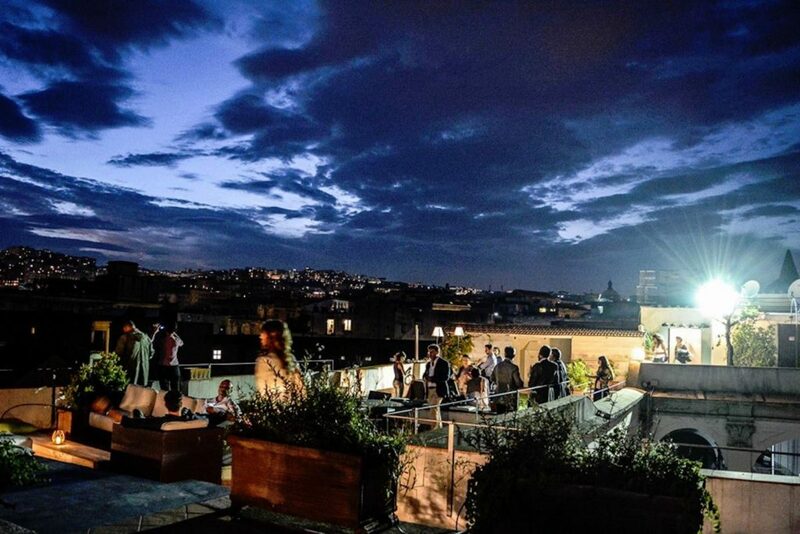 The event “Wine & The City” with the partnership of the municipality of Naples at Santa Chiara Boutique Hotel. 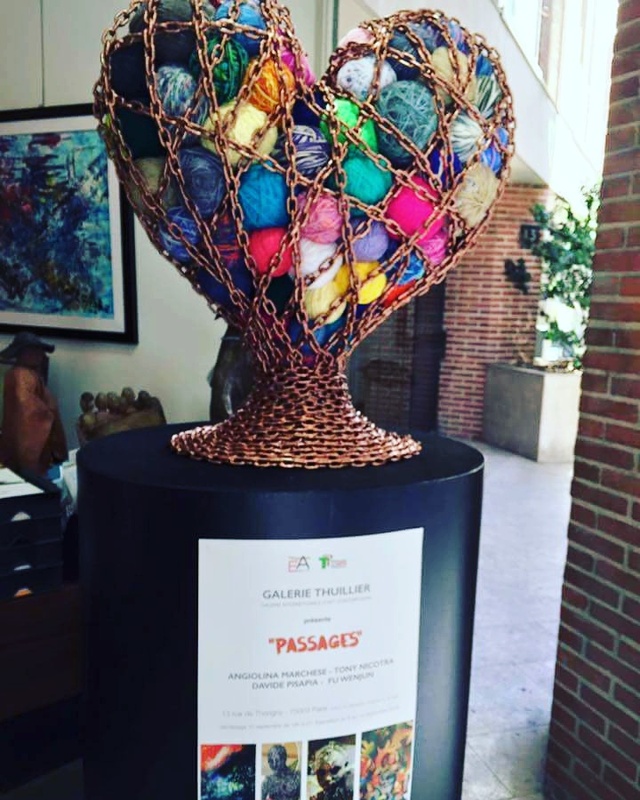 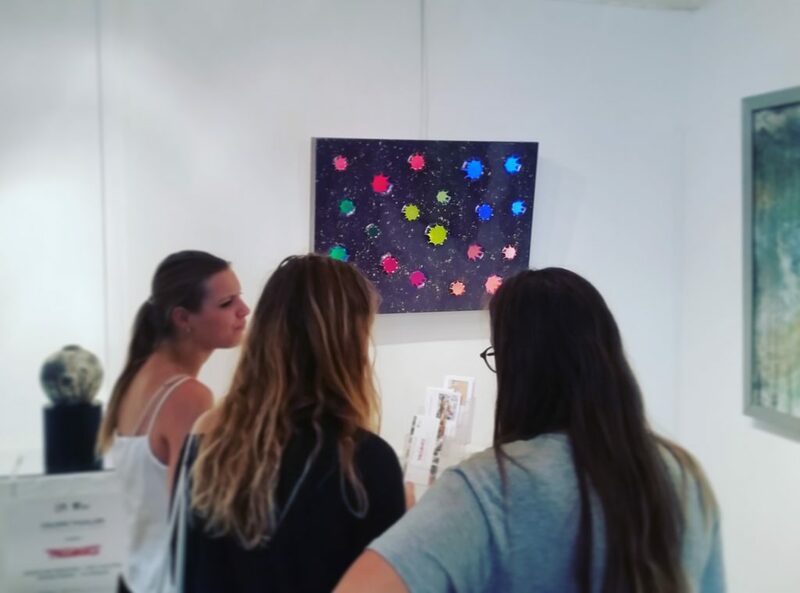 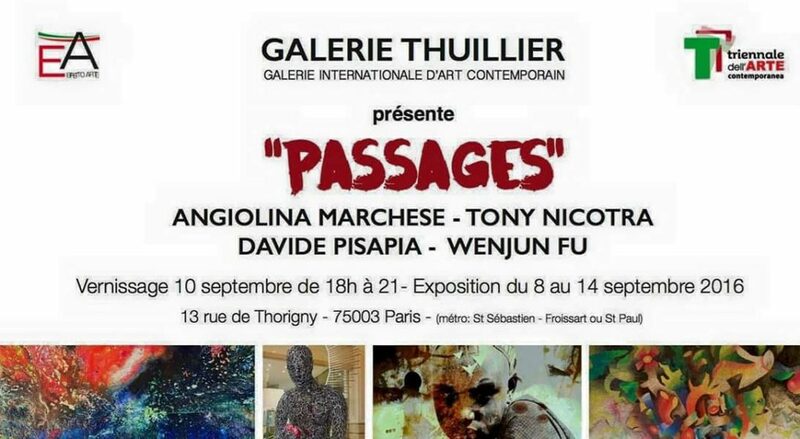 Group Exhibition entitled “Passages” at Thuillier Gallery of Paris (France). 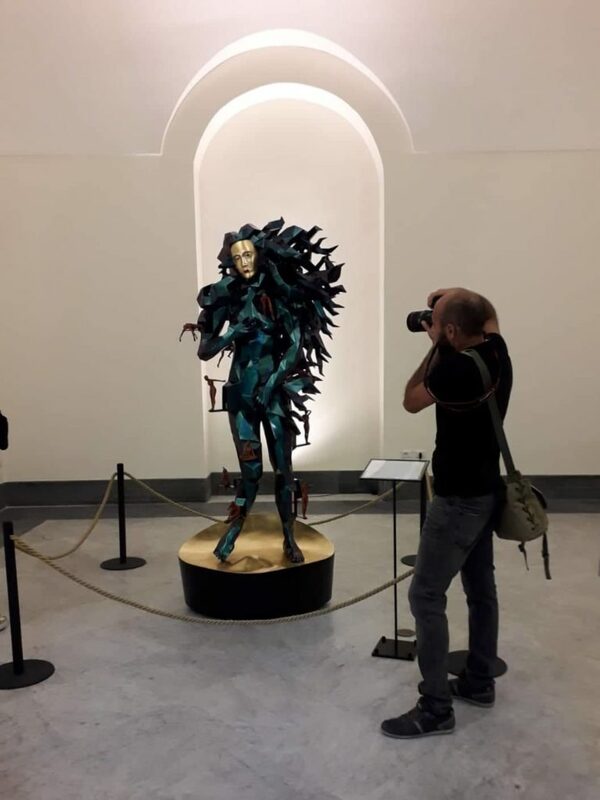 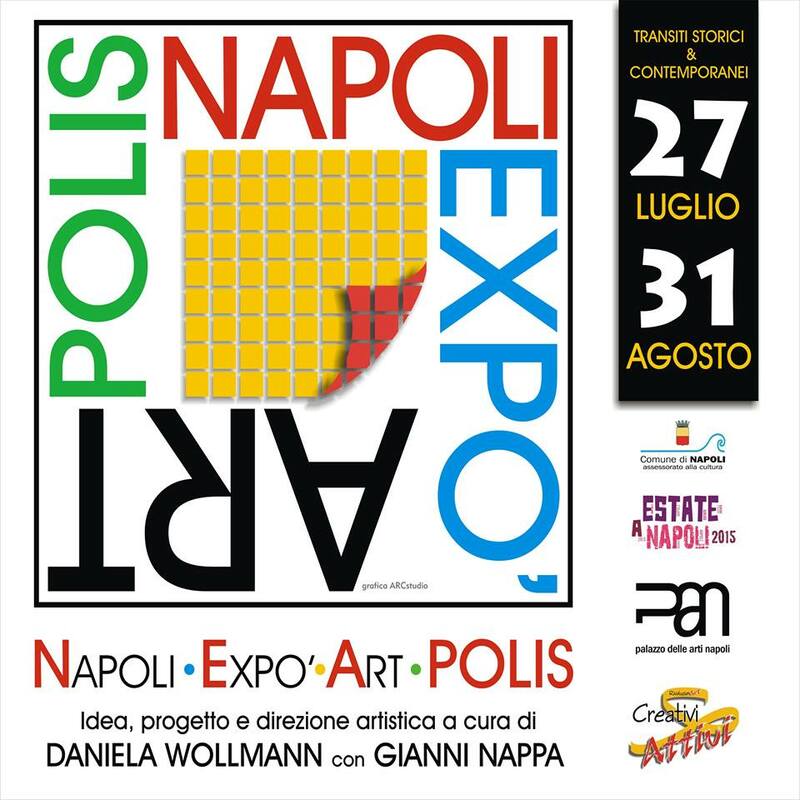 Exhibition “Napoli Expò Art Polis” at the PAN Palace of the Arts of Naples organized by the art curators Daniela Wollmann and Gianni Nappa. 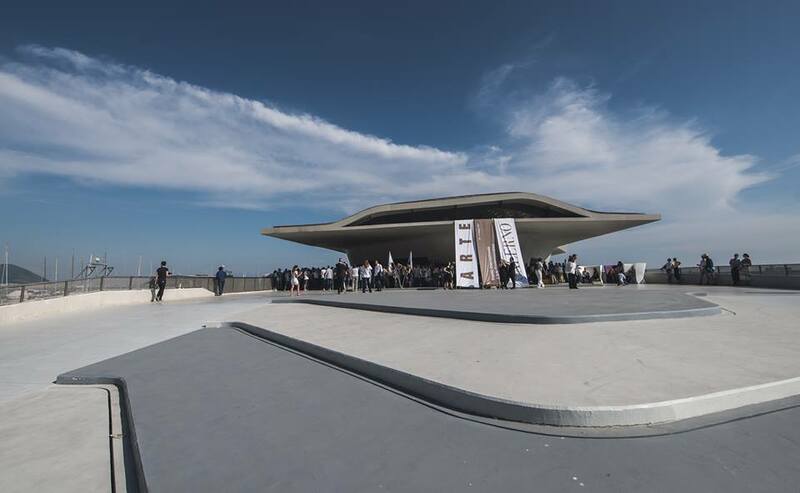 Fair at Zaha Hadids’ sea station in Salerno. 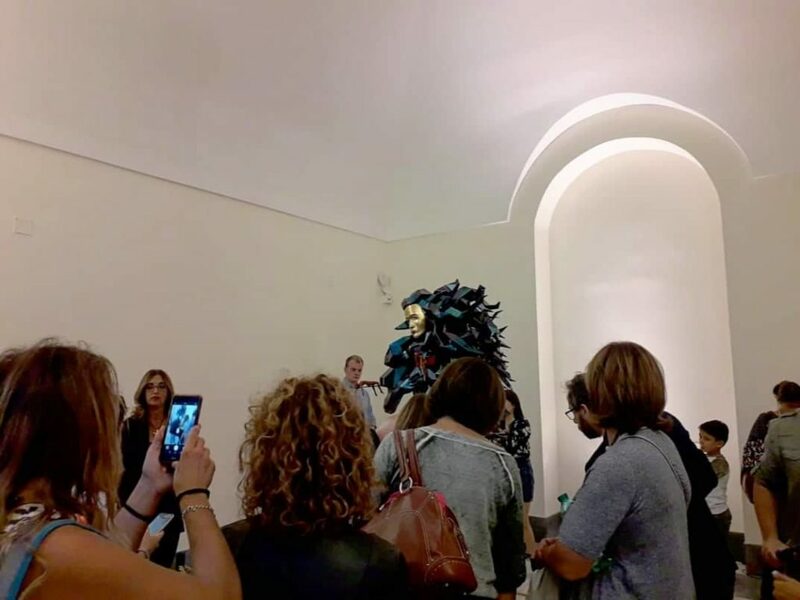 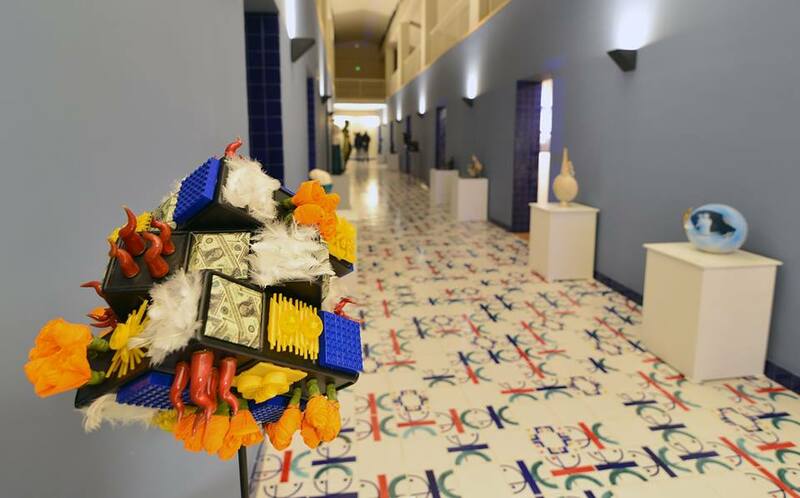 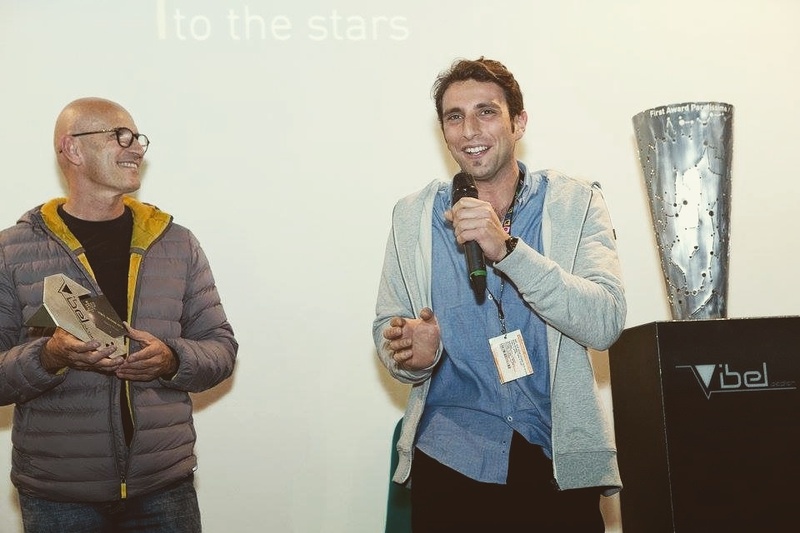 The event organized with the collaboration of art director, Vittorio Sgarbi and Curator of the Guatemala National Pavilion at the 57th Biennial of Venice, Daniele Radini Tedeschi. 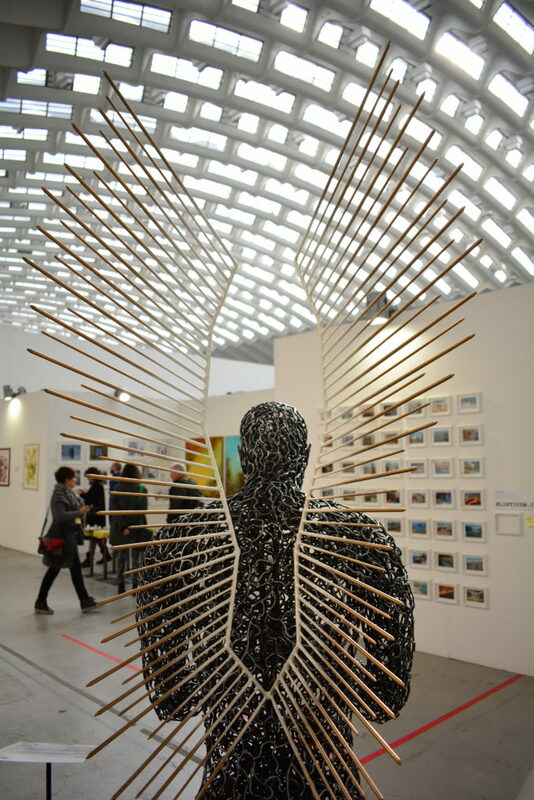 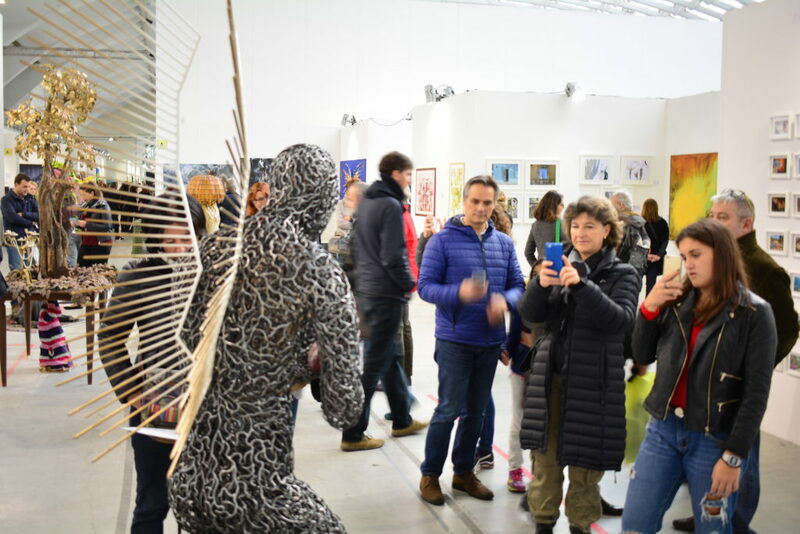 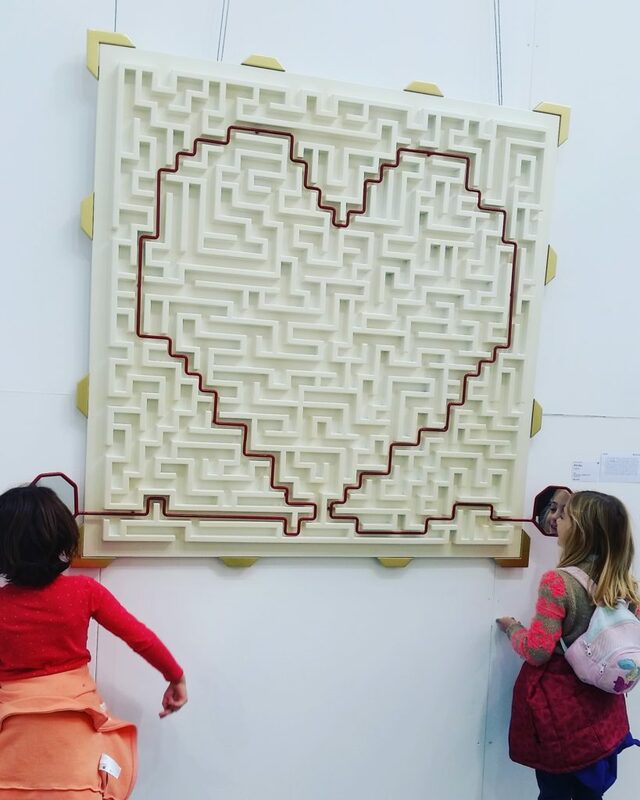 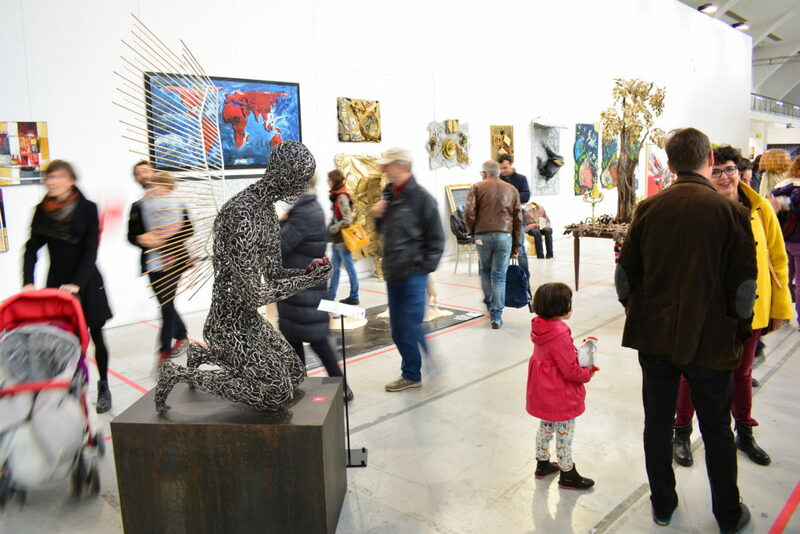 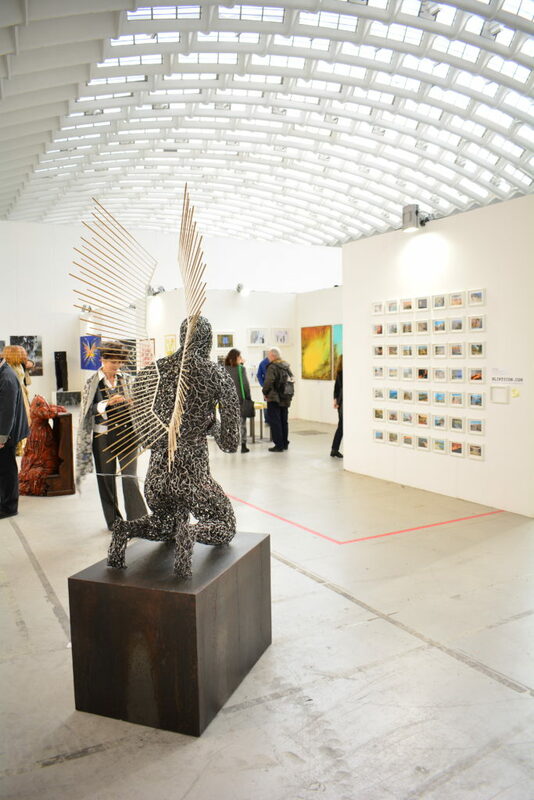 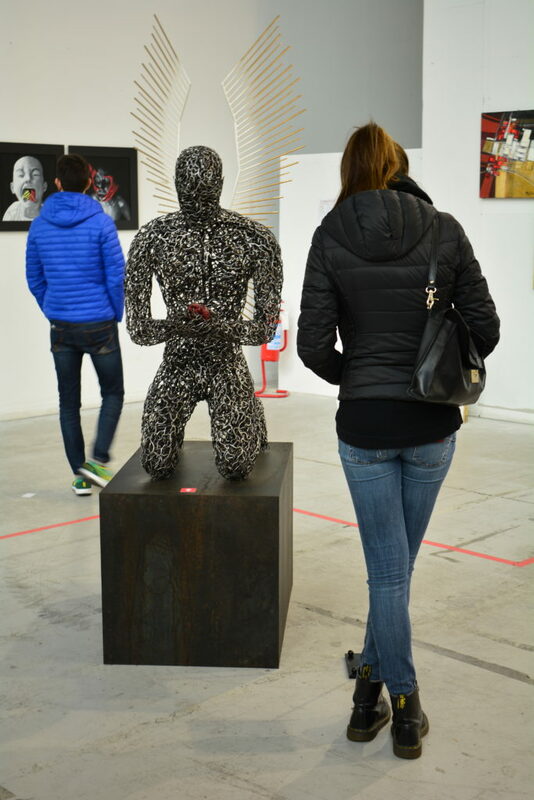 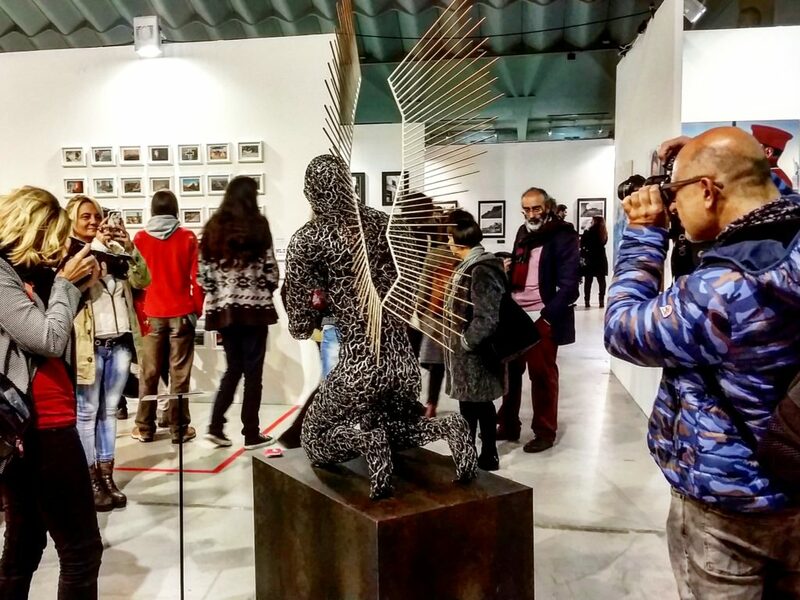 From the 2nd to the 6th November 2016 at the exhibition complex of Tourin Exhibition, the Paratissima is half a classical fair exhibition and half a big cultural event of the most important artistically disciplines: painting – sculpture – street art – photography, where 600 young italian and international artists italian can be known from the public and of sector’s lovers and experts. 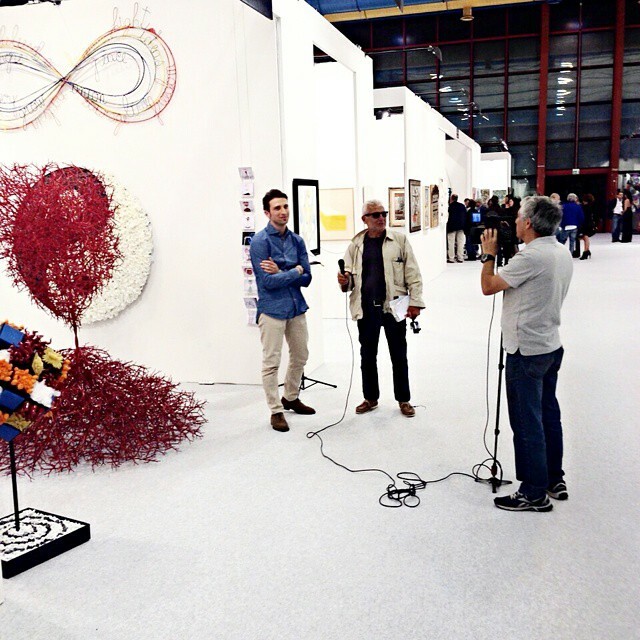 Fair at PalaExpo of Verona opened by: Vittorio Sgarbi, Paolo Levi, Luca Beatrice, Angelo Crespi and Estemio Serri. 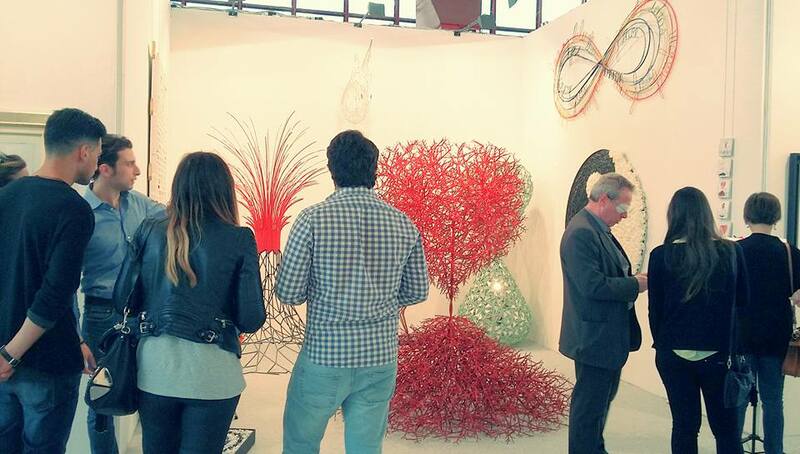 Naples Art Fair (NAF) at Mostra d’Oltremare in Naples. 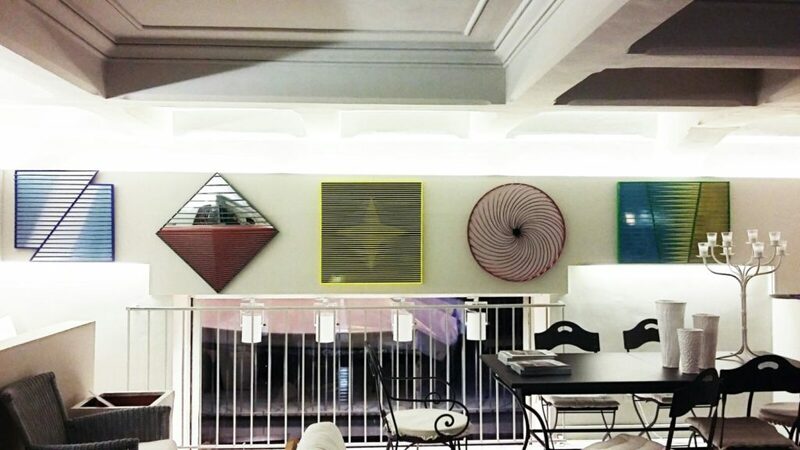 Exhibition at the Show Room Gallery of Artemest in Milan. 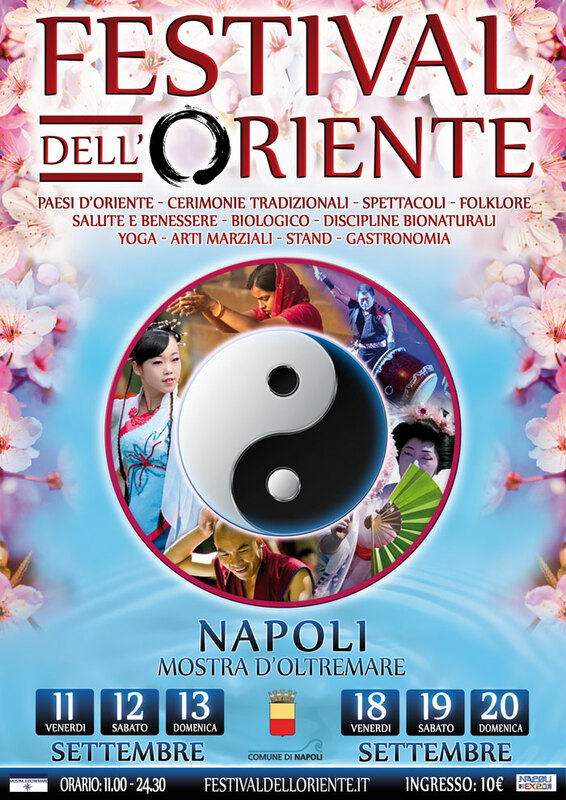 Festival of Oriental culture at Mostra d’Oltremare in Naples. 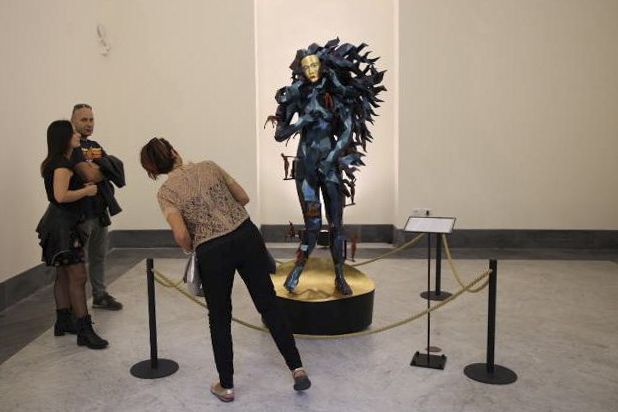 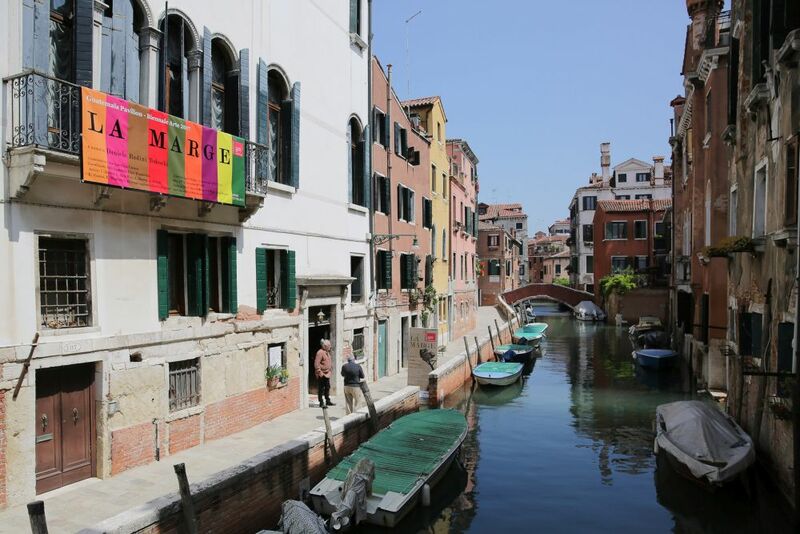 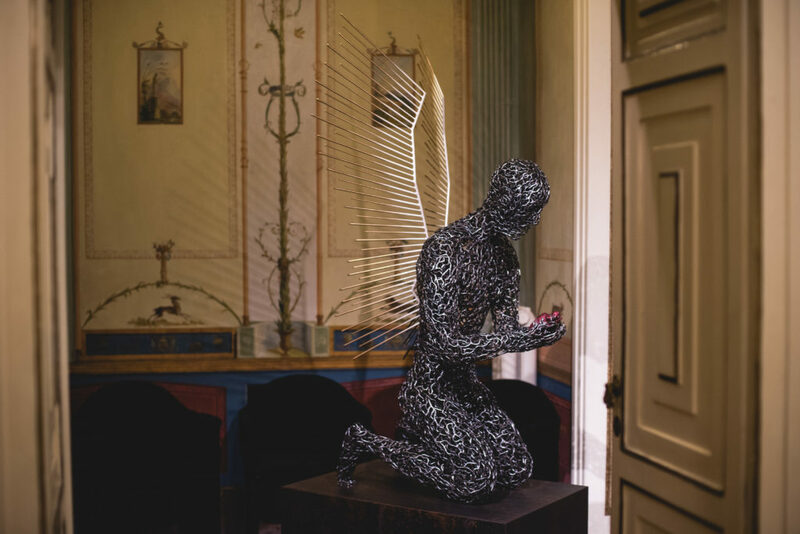 The Prize “Leone Alato” has been assigned at the “Viva Arte Venezia” collective exhibition in the Albrizzi Palace headquarter of the Guatemala Pavilion of the 57th Biennial of Venice. 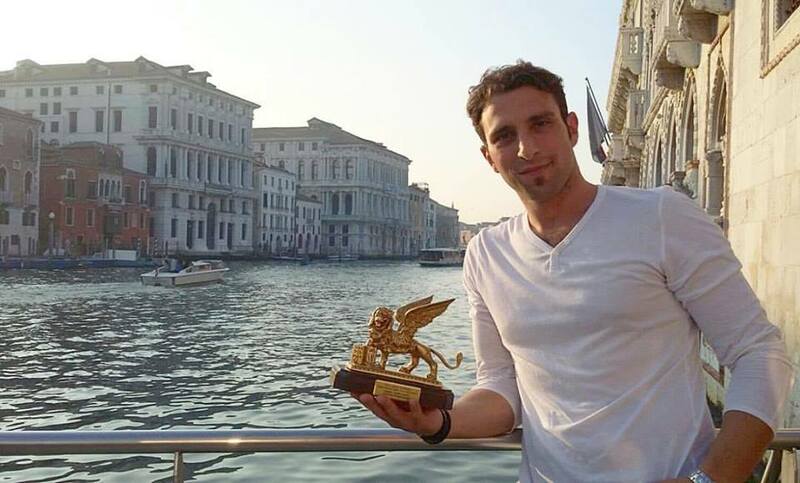 The Award “Viva Arte Venezia”has been given to me by the Jury President of Art Salerno 2017, Daniele Radini Tedeschi, Curator of the Guatemala Pavilion of the 57th Biennial of Venice. 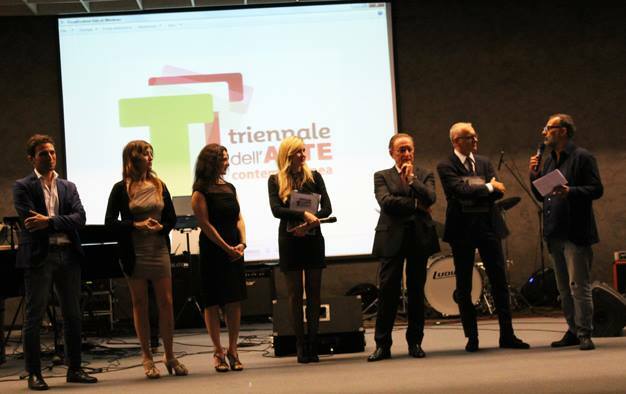 November 2016 – Vibel Design Award, Turin. 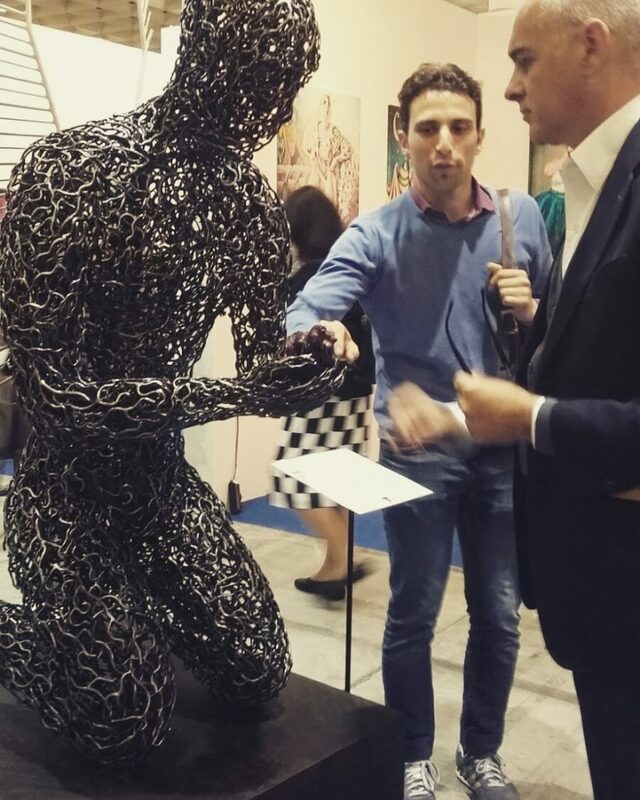 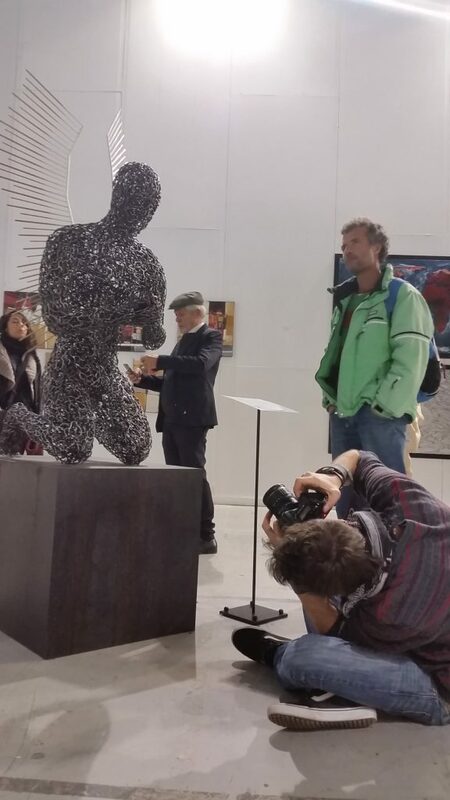 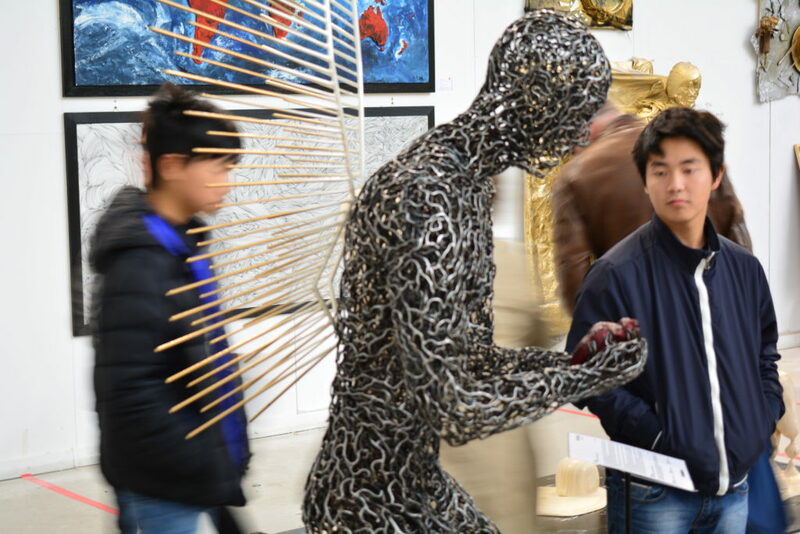 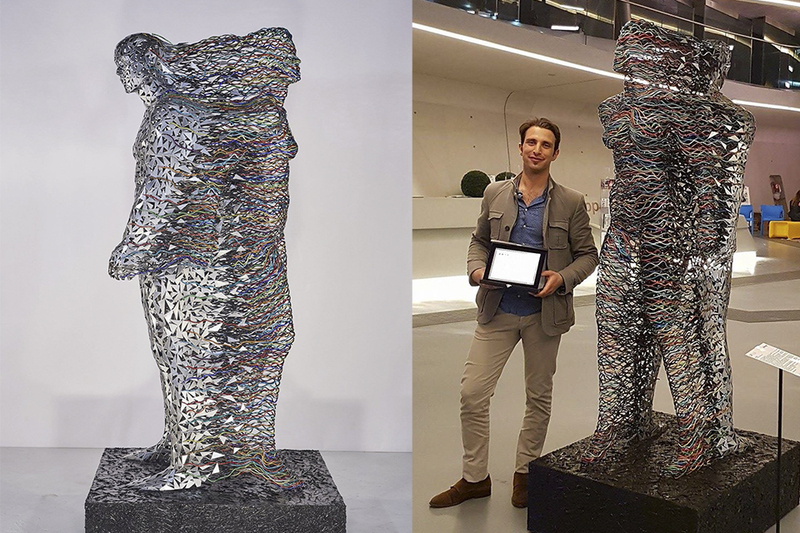 The Price Vibel Design is awarded to the best sculpture made of metal at the 12th edition Paratissima of Turin. 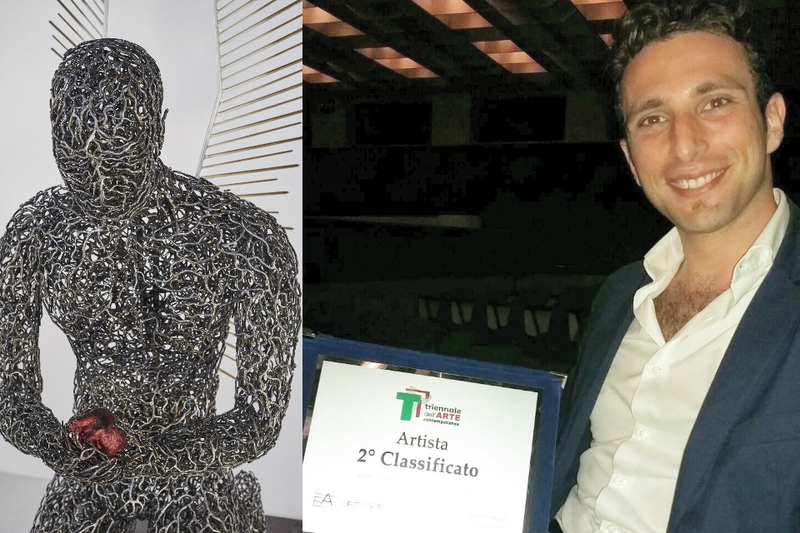 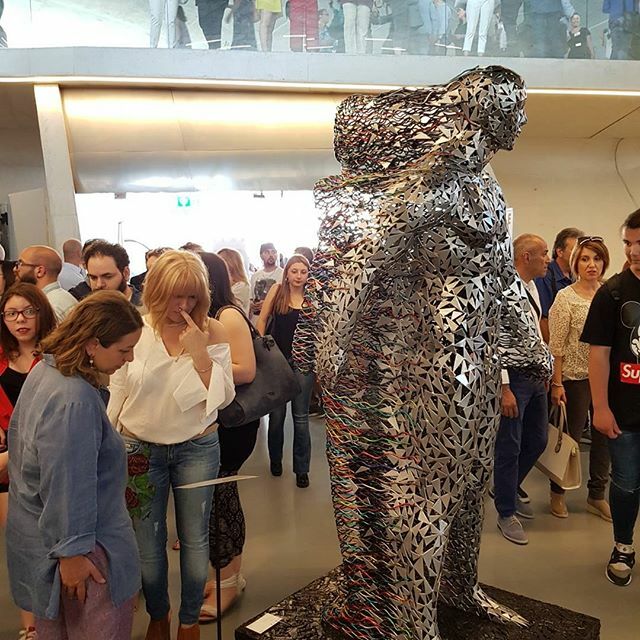 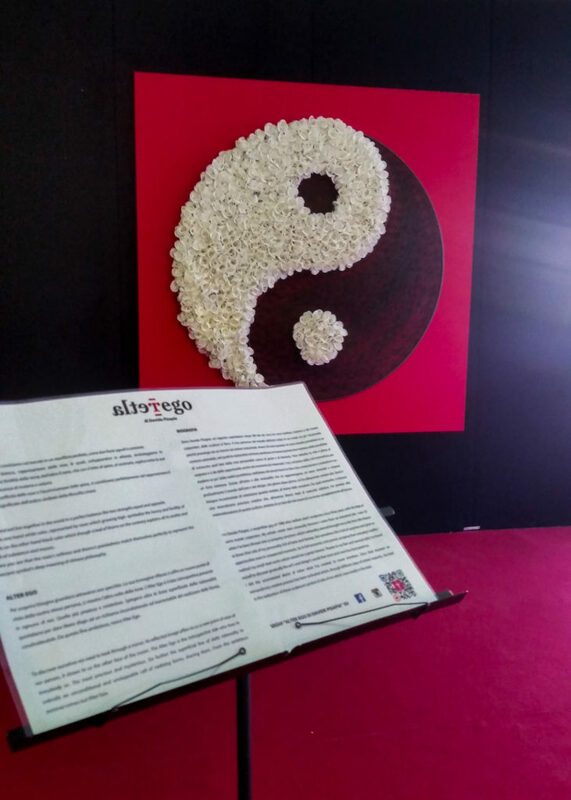 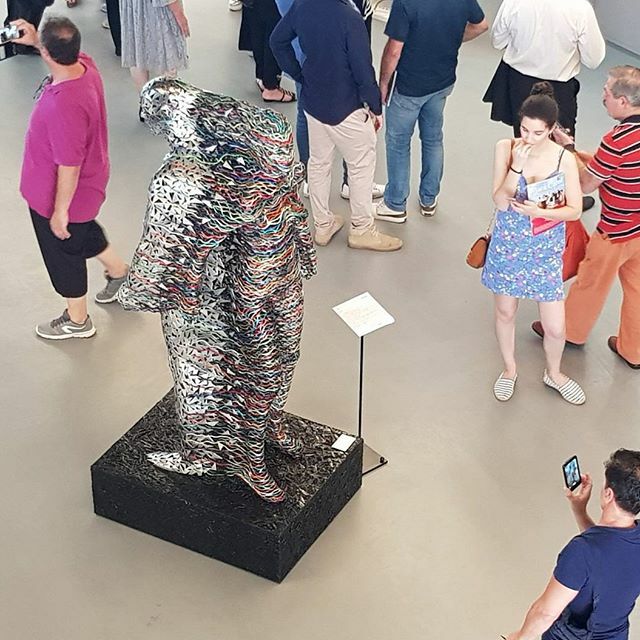 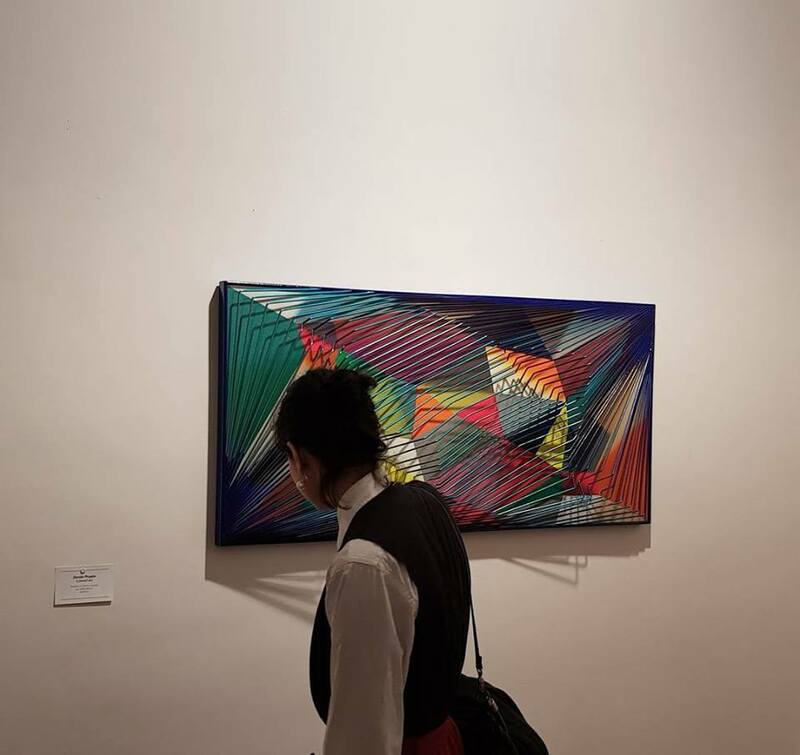 2nd place award from the public of the “First Triennial of Contemporary Art in Verona” with a special reference from the Judiciary Committee made up by: Luca Beatrice, Angelo Crespi and Estemio Serri.